Hensoldt scopes, from the house of Zeiss Sports Optics, make their way from Wetzlar Germany. 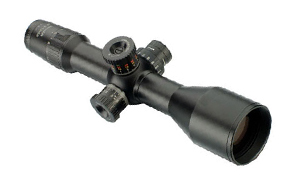 Design and controlled by Cassidian Optronics, the Hensoldt scope collection includes small arms weapon sights and military grade optical instruments. It caters to the requirements of professional shooters and is continuously uplifting industry standards. Known for its quality, ruggedness and superior performance, the Zeiss Hensoldt rifle scopes lineup comes with a host of unique features. To begin with, it features T* multi-coating for utmost imaging quality at high magnification and in the worst lighting conditions. The Hensoldt Wetzlar scope also brings on deck enhanced transparency in the blue spectral range for best understanding of details in low light. Add to that self luminous and adjustable reticles, control electronics with memory function, ideally set parallax compensation to lessen target errors and lend optimal focus, and watertight, nitrogen-filled tubes.